Cute LULULEMON Gather And Crop Crop, Size 10. I have lots of Lululemon for sale. Inseam: 21” Waist: 14 1/4” Rise: 9”. Lululemon Singlet. I do not smoke, but I do have a cat and will do my best to remove any stray hairs. Lululemon Black print short size 4. Condition is Pre-owned. Shipped with USPS First Class Package. Lululemon Black size 4 So cute!! 100% authentic Align 2 25 in length Nulu High rise Like new condition! Cute LULULEMON Run Speed Shorts, Size 6. I have lots of Lululemon for sale. Inseam: 2 1/2” Waist: 15” Rise: 8 1/2”. CONDITION: Good condition. Light fading & sueding, signs of normal wash and wear. Cute LULULEMON Wunder Under Pants, Sz 8. I have lots of Lululemon for sale. CONDITION: Good condition! Sueding and signs of normal wash and wear. Carefully laundered, ready to wear. We created these pants to be a no-fuss tight for our yoga practice, but we just couldn't stop wearing them. Cute LULULEMON Run Ultra Lined Shorts, Size 2. I have lots of Lululemon for sale. two gel pockets in the waistband and a zipper pocket at the back. She's going the distance. She's going for speeeed. lululemon racerback 10 Grey Stripes On White. Narrow stripe. Great pattern. Not available. 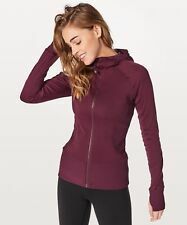 Cute LULULEMON Wunder Under Crop, Size 6. I have lots of Lululemon for sale. Inseam: 21” Waist: 13” Rise: 8 1/2”. Lululemon Skort 2 Black Ruffled Layered Skirt Zipper Back. Condition is Pre-owned. Shipped with USPS Priority Mail Flat Rate Envelope. 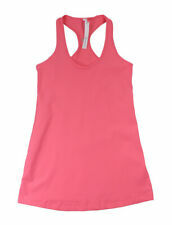 Lululemon Women’s Tank. Size 8. *size/content/care tag has been removed Melange style stripe in shades of grey and white. Scoop neckline and scoop back. Long fitted style. Smooth stretch material. Machine wash. Great pre-owned condition. No sign of wear. No damage. Crop Leggings. fit about high/mid rise. and also a pull on the material. waist pocket. Lululemon run swiftly tank. Heathered Red. Gently washed and line dried. Cute LULULEMON Run Energy Lined Skirt, Size 10. I have lots of Lululemon for sale. Soft 4-way stretch Lightweight Swift fabric, Lined, wide Satin Drawstring waist to customize your fit. CONDITION: Very good condition. Lululemon Run Swiftly short sleeve pretty blue size 4 EUC! Lululemon Run Crop Leggings. Black. size 10.